Together with the top three Monastery in Tibet Lhasa city, Tashilhunpo Monastery is one of the big four Monasteries of Gelugpa in Tibet. Tashilhunpo means “the Heap of Glory” or “an auspicious and blessed mountain which is the center of the world”. Located at the foot of Drolmari in Shigatse, this holy temple is the largest one in this region. 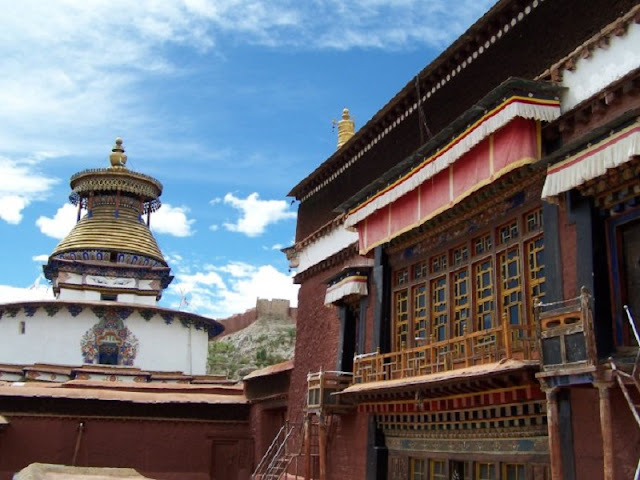 Founded in 1447 by Gendun Drup who is the 1st Dalai Lama, Tashilhunpo Monastery had been greatly enlarged by the successive Panchen Lamas especially the fourth Panchen. The huge temple covers an area of 150,000 square meters with a great number of structures such as The Maitreya Chapel, The Kelsang Temple, and The Panchen Lama's Palace. 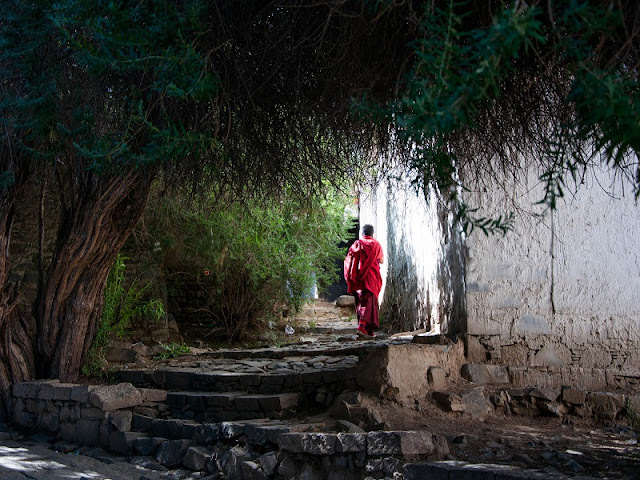 As the ashram of the Panchen Lamas from the fourth generation, Tashilhunpo Monastery is a holy place for understanding and practicing the Buddhism. Standing in front of Tashilhunpo Monastery, visitors can catch the vision of massive buildings with golden roofs and red walls. Once entering the front gate, a place covered by stones from the foot of Himalaya will come into view. With a total area of 600 square meters, it’s the site where the Panchen Lamas Expound the texts of Buddhism to all the monks. On the wall there are thousands of Buddha statue in the different style, this makes a strong atmosphere of practicing meditation. 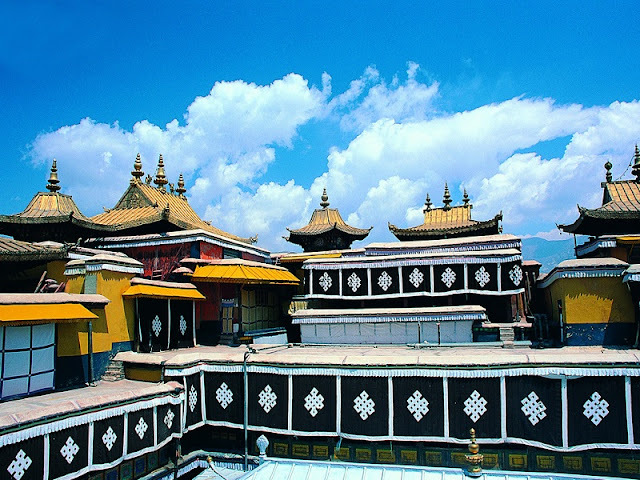 Across the square, we will find the main hall which is the center of the Tashilhunpo Monastery and one of the oldest buildings in the temple. Started in 1447, the construction took 12 years to complete. The hall is an important religious site which can hold nearly 3,800 monks and the exquisite throne for the Panchen Lamas have been placed there for worship. There are nearly one hundred of beautiful Thangkas which record Buddhist stories and the life stories of the Panchen Lamas hang on the top of the hall. 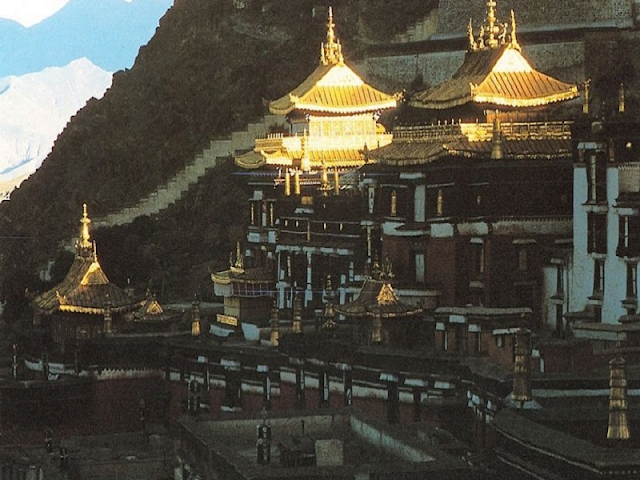 As the most famous attraction in Shigatse, the Maitreya Chapel is located in the west of The Tashilhunpo Monastery. Visitors can find the biggest bronze statue of Buddha inside the chapel. Sit on a lotus, this grand statue of Maitreya which decorated with thousands of diamonds, pearls, amber, coral, turquoise reaches a height of 26.2 meters. It's said that the masterpiece had been handcrafted by 110 craftsmen in 4 years. Visitors can get close to the incarnation of Sage and have a better view by a wooden staircase. There are three halls behind the scripture hall. In the middle of them is The Sakyamuni Chapel where part of the Buddha's relics is said to be laid there. On the left side, there is a temple where an eleven - meter tall statue of Maitreya laid. Stand by the side of the Maitreya, two figure of Avalokitesvara and the Bodhisattva Manjusri are the most ancient statue made by Gendun Drup. 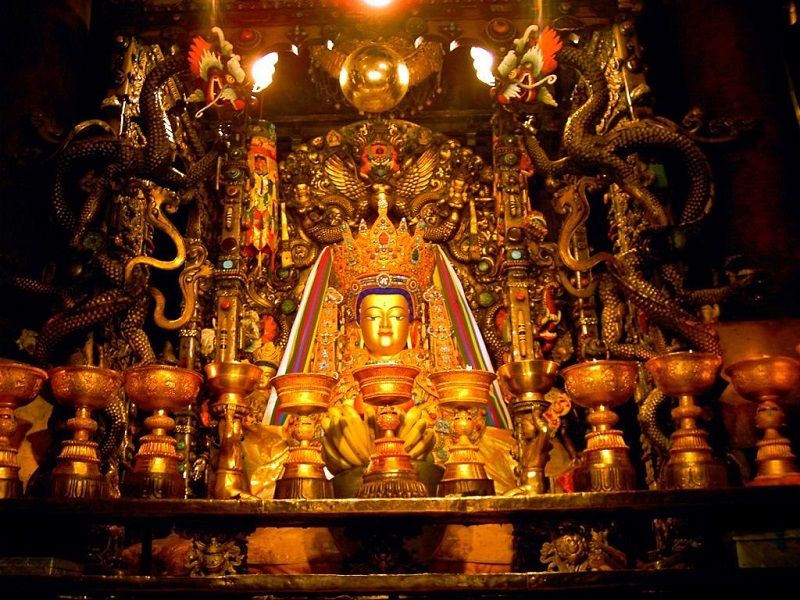 On the right side of The Sakyamuni Chapel is a temple devoted to Tara who is the avatar of Avalokitesvara. 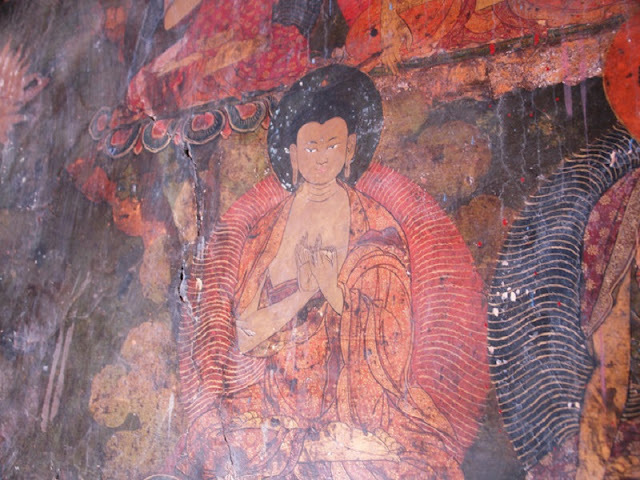 Besides the magnificent palace and the perfect statues, the wall paintings, sutras, thangka are also rare treasures in the Tashilhunpo Monastery. They provide us a chance to learn the history and society of Tibet.